Great apps are a big part of what makes for a great mobile (or even desktop) device. As iPad users, we’ve been fortunate that right from the start there have been rich pickings when it comes to great iPad apps – and we continue to be spoiled for choice when it comes to finding excellent apps for just about any purpose. Our weekly picks for iPad App of the Week celebrate some of these, and appear here every Saturday. This week’s pick is The Championships, Wimbledon 2014 for iPad. This is, of course, the 2014 version of the official iPad app for the Wimbledon tennis tournament. The tournament kicks off this Monday, and this is a great app to get you primed for the event and a nifty companion app during the Wimbledon fortnight from June 23rd to July 6th. 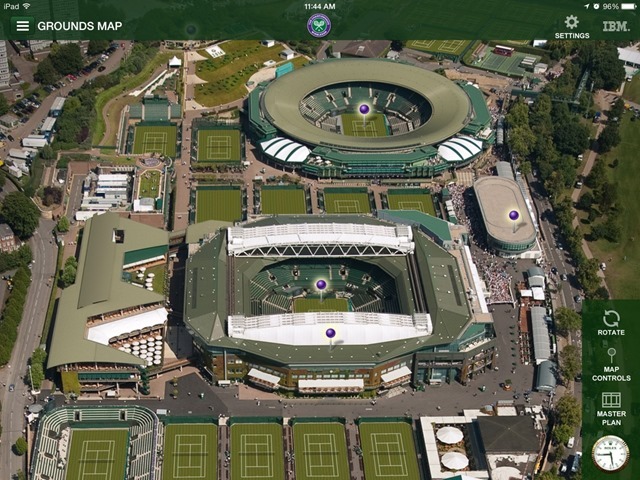 Map: A map view of the Wimbledon grounds, including close looks at the primary courts and a great 360 degree view of Centre Court. Scores: All the latest scores, from the qualifying rounds right through to the finals. Draws: The lineup of matches. Order of Play: The daily schedule of matches. 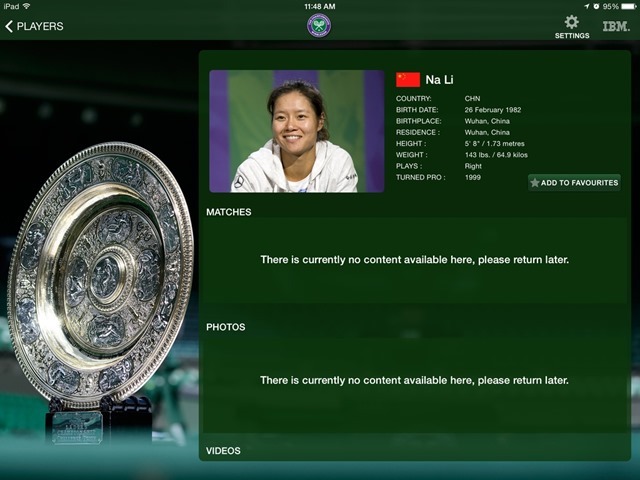 Players: Alphabetical listing of Mens and Womens competitors, with brief Bio pages for each. Photos: Photos featuring action on and off the courts. Radio: Live radio commentary from the All England Lawn Tennis Club, available worldwide starting on the opening day of the tournament. Videos: Live stream and highlights video clips sections throughout the tournament. Blog & News: Live blogs and news covering the event. This is one of the better official iPad apps for (arguably) the world’s greatest tennis tournament, and a great way to keep up with Wimbledon if you can’t be there live or be at home to watch on a big screen. 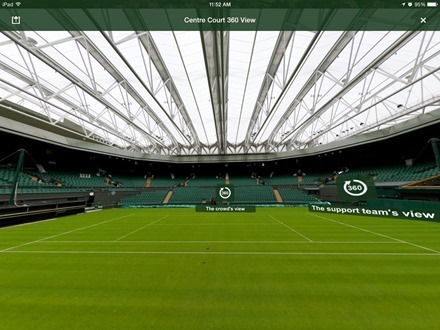 Here’s an App Store link for The Championships, Wimbledon 2014 for iPad; it’s a free app.